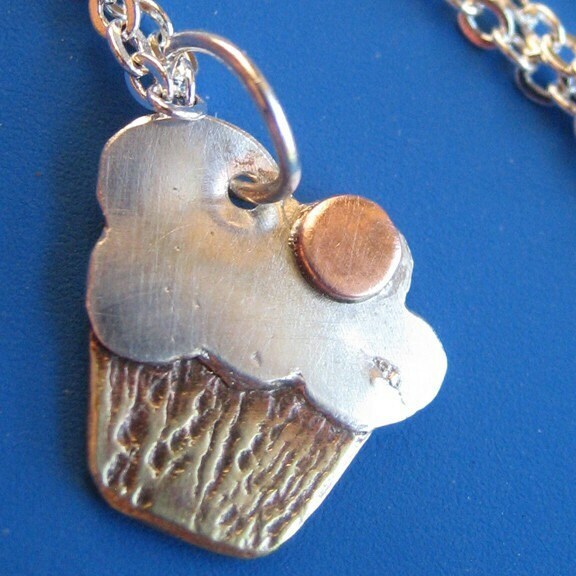 A dainty little cupcake is the focal piece of this cute little necklace. With silver frosting, a copper cherry and a brass cup. The cup has hammered lines to imitate the crinkly foil. Stamped with my 'sudlow' signature on the back. Hung on an 18" silver plated chain.